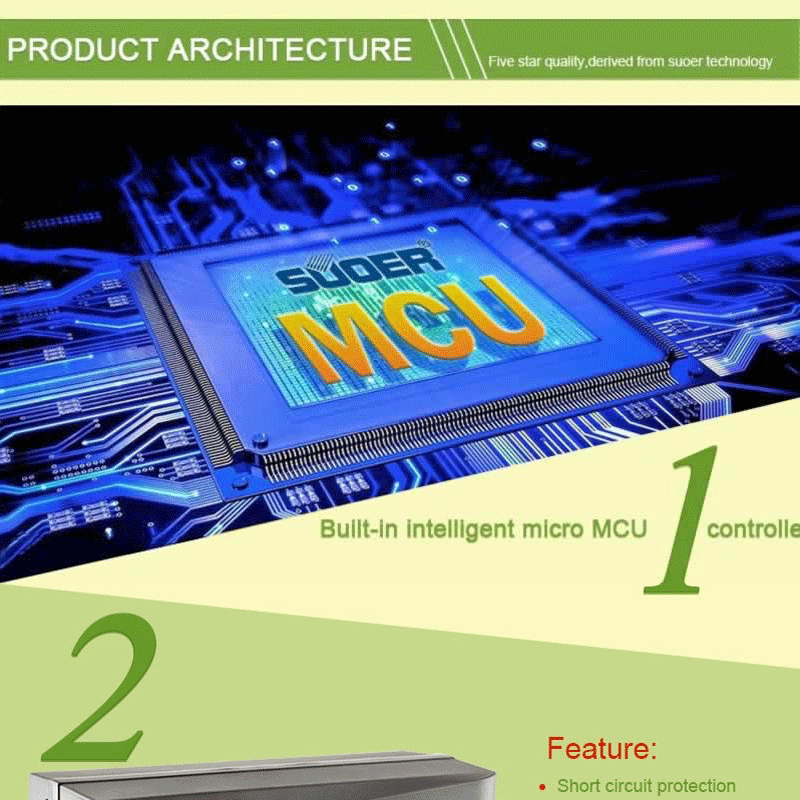 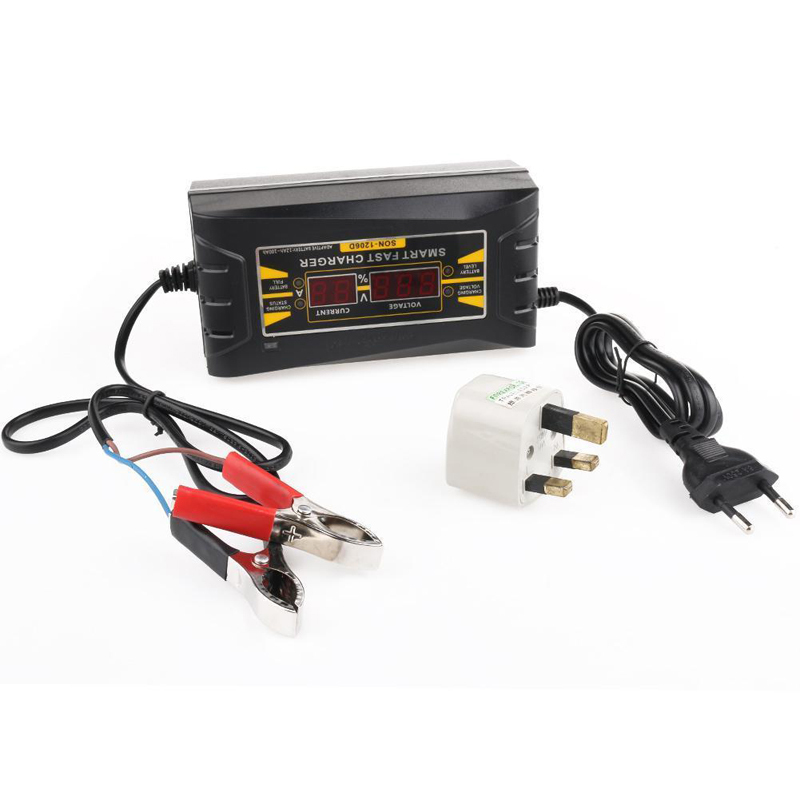 This battery charger uses micro MCU controller to manage the process of the battery charging. The charger will automatically stop charging when it is getting fully charged. 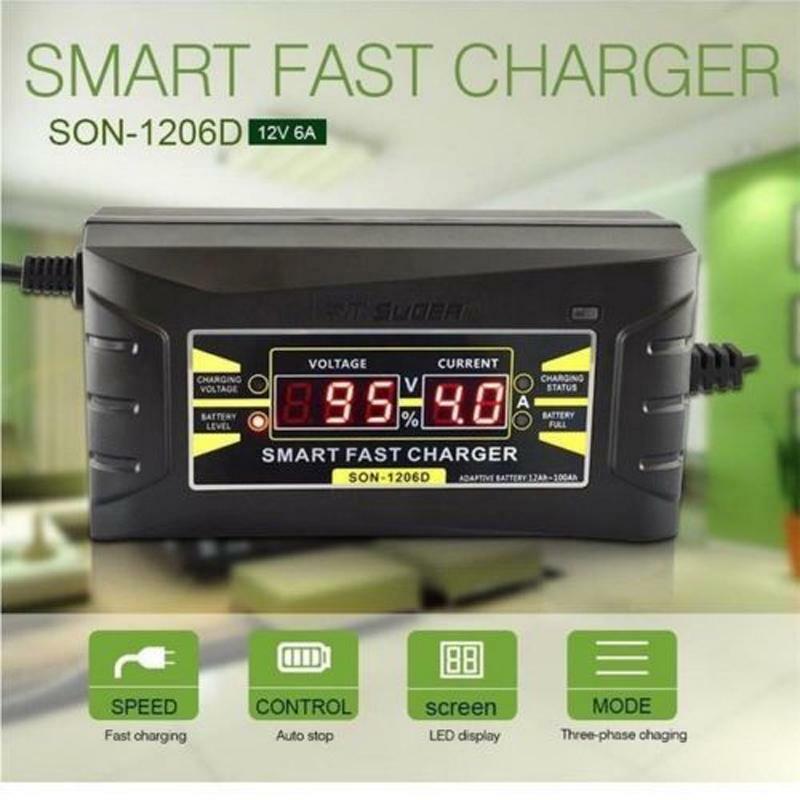 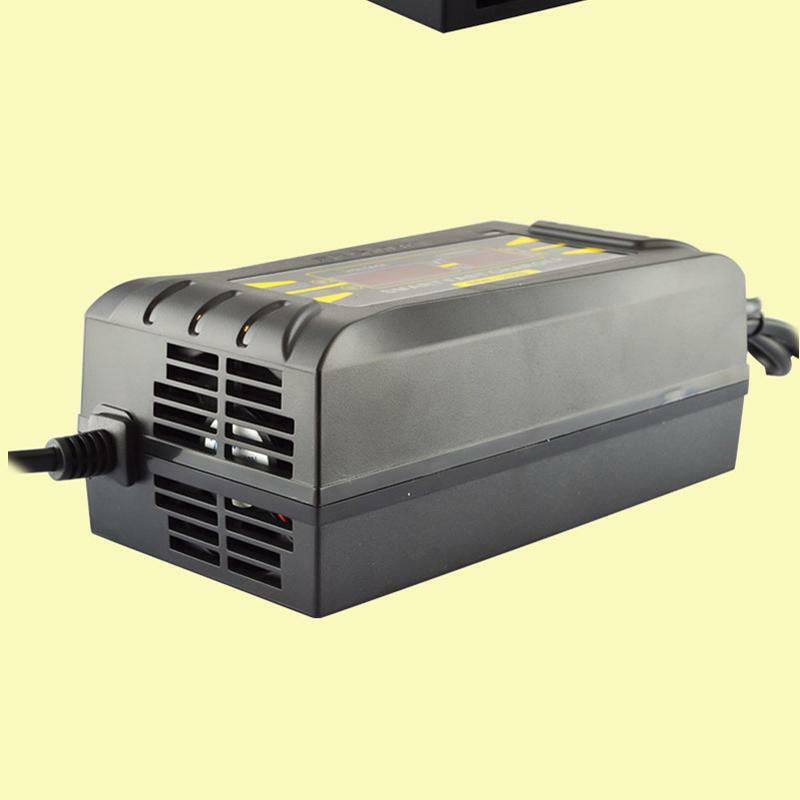 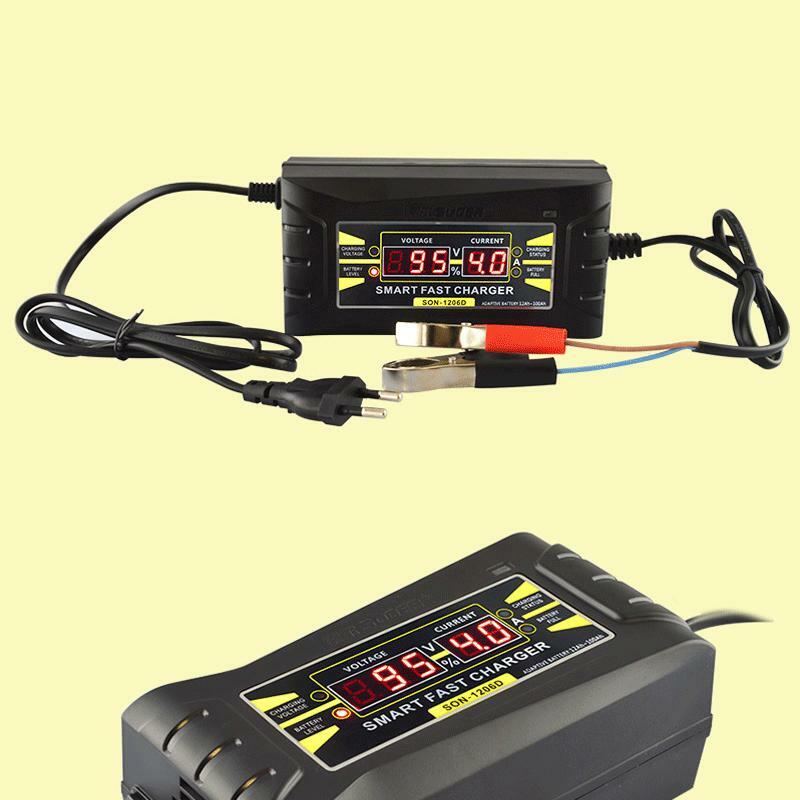 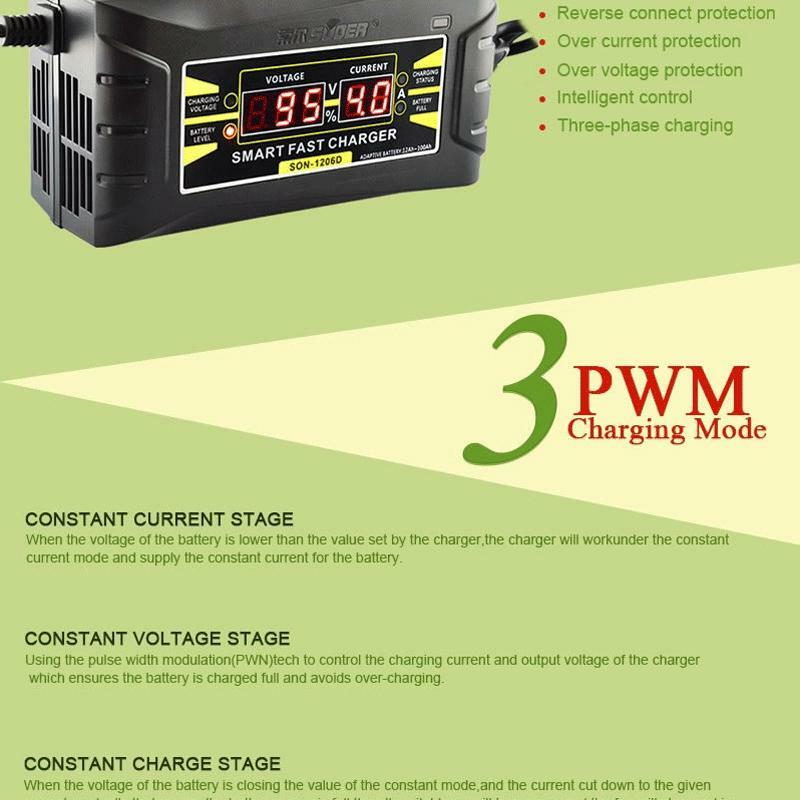 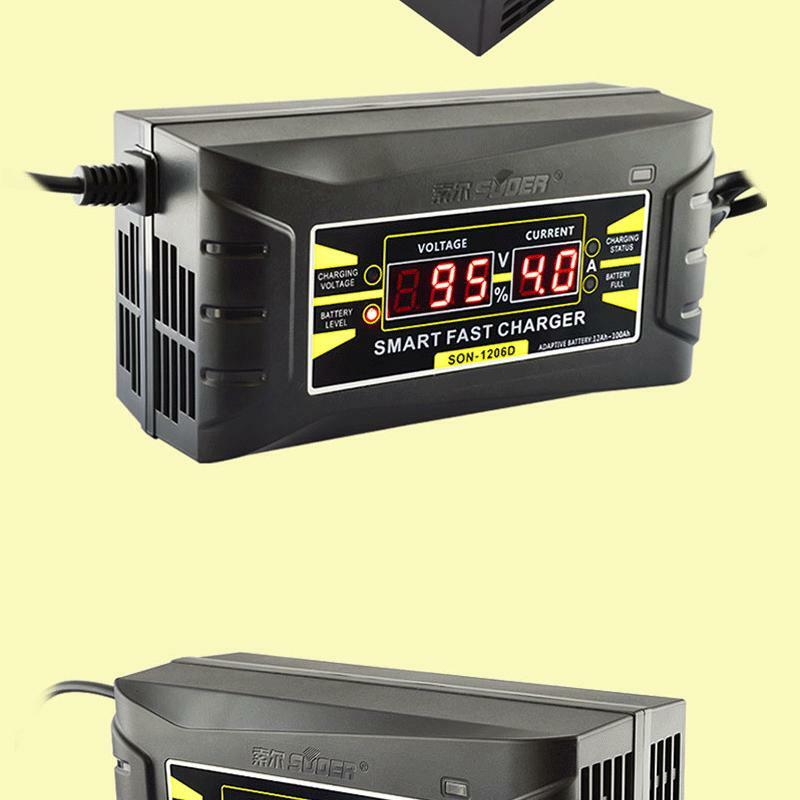 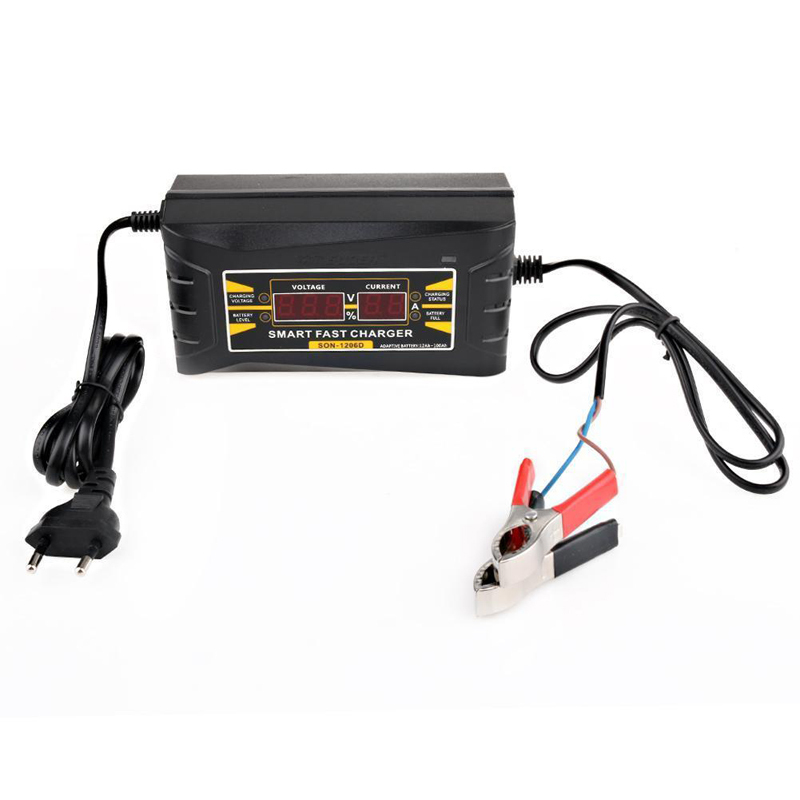 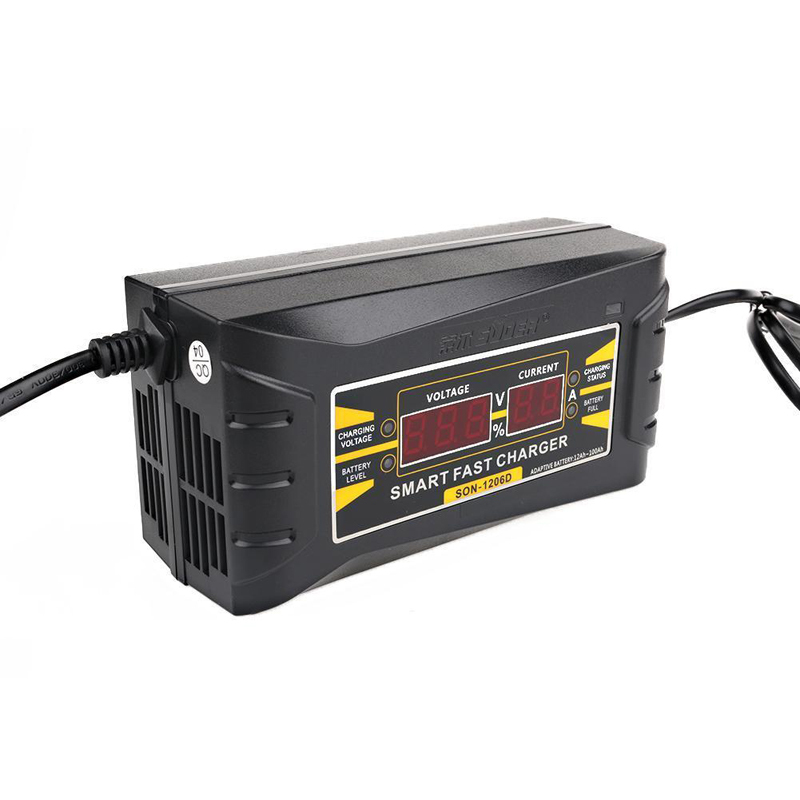 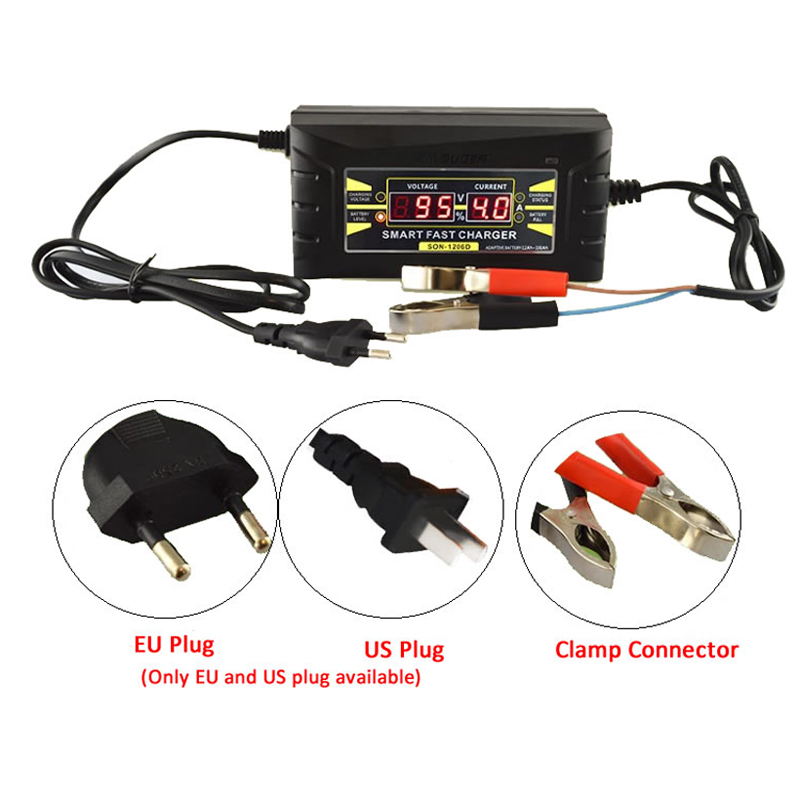 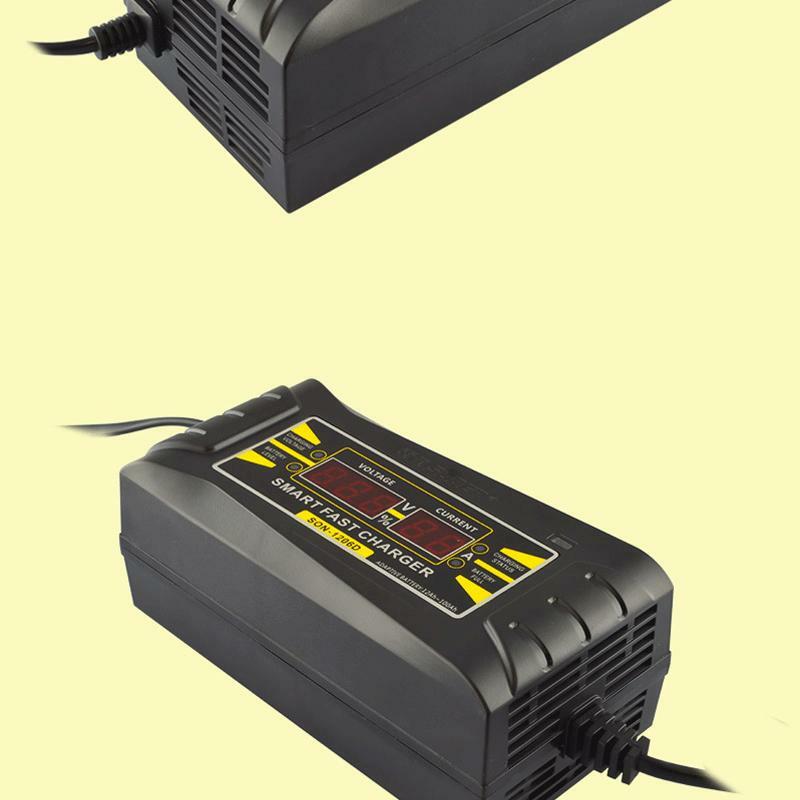 This battery charger uses three-phase charging mode(PWM charging mode), which includes constant current charging phase, constant voltage charging phase, floating charging phase. 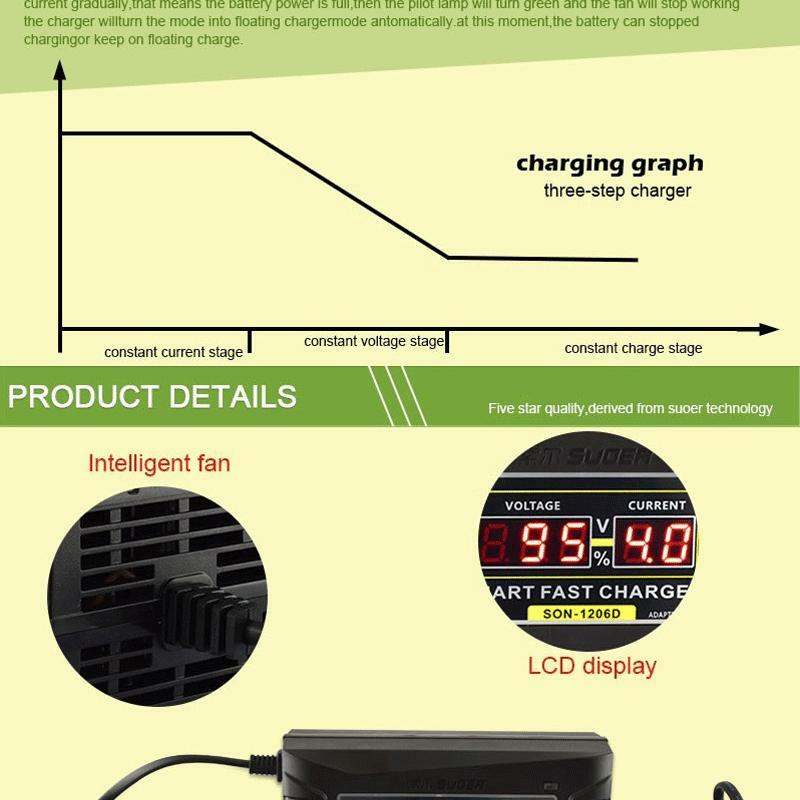 The smart charging indicator shows charging process directly,which facilitates users to manage the current of the battery. 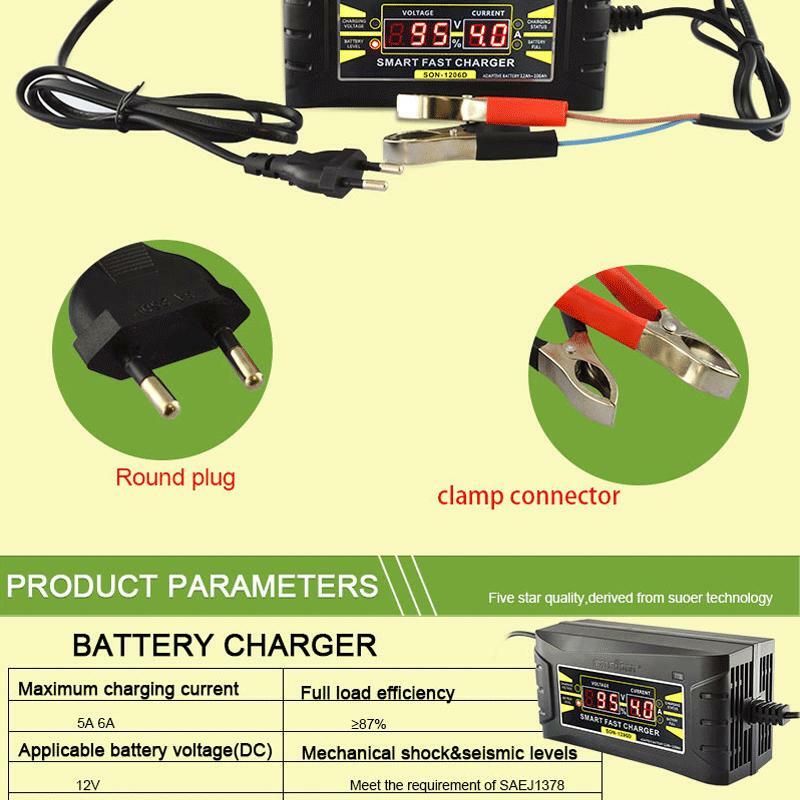 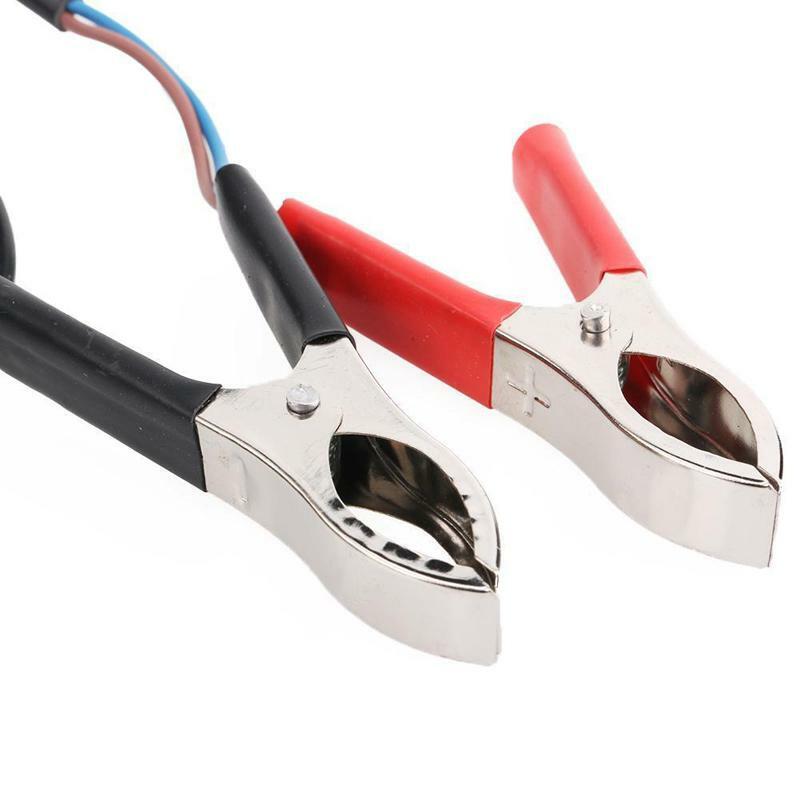 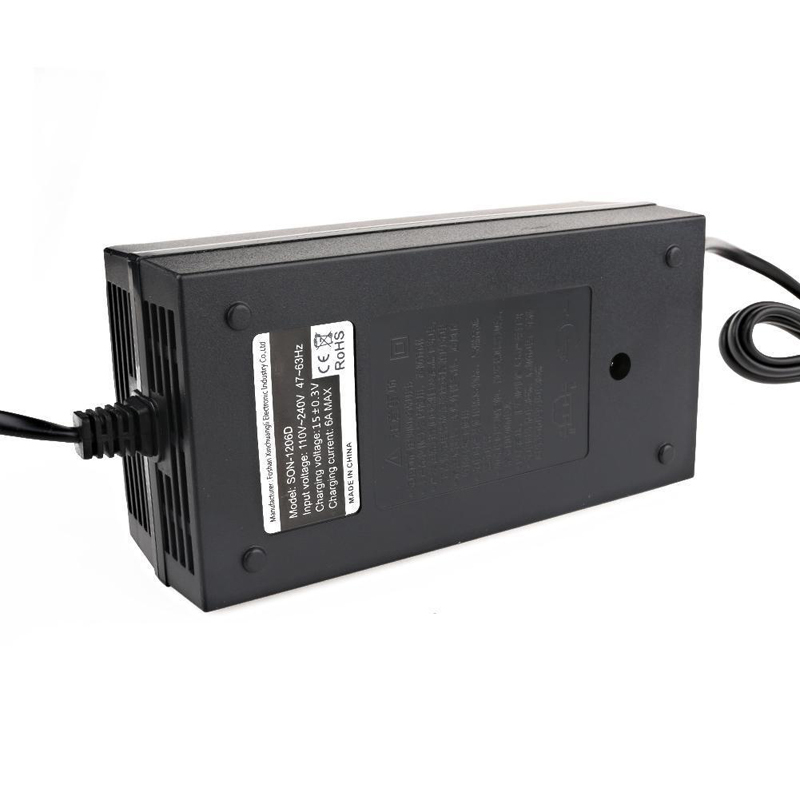 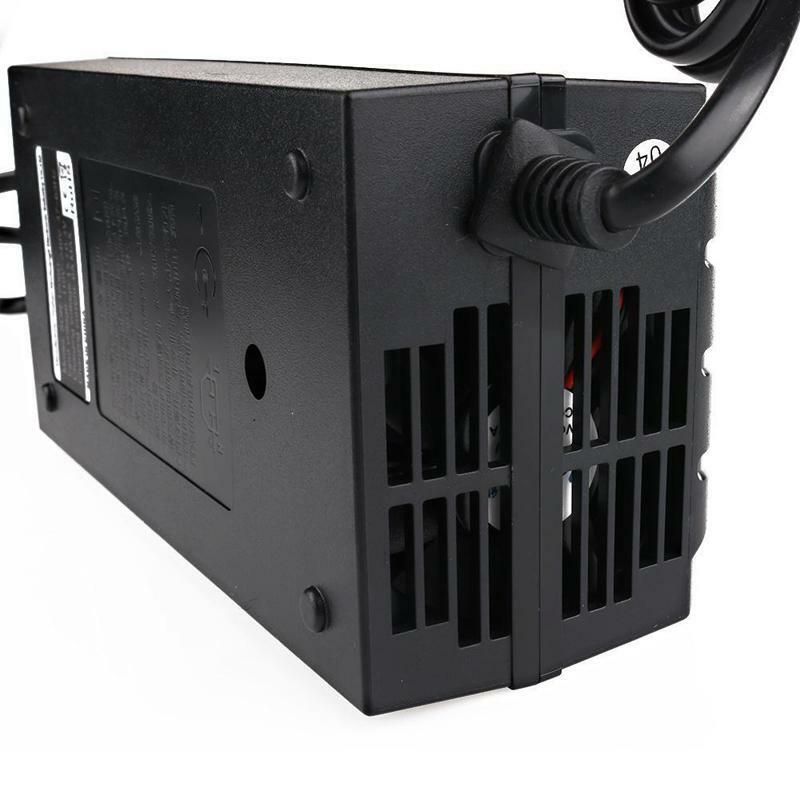 Constant current mode: When the voltage of the battery is lower than the value set by the charger,the charger will work under the constant current mode and supply the constant current for the battery. Constant voltage mode: Using the pulse width modulation(PWM) tech to control the charging current and output voltage of the charger which ensures the battery is fully charged and avoids over charging. 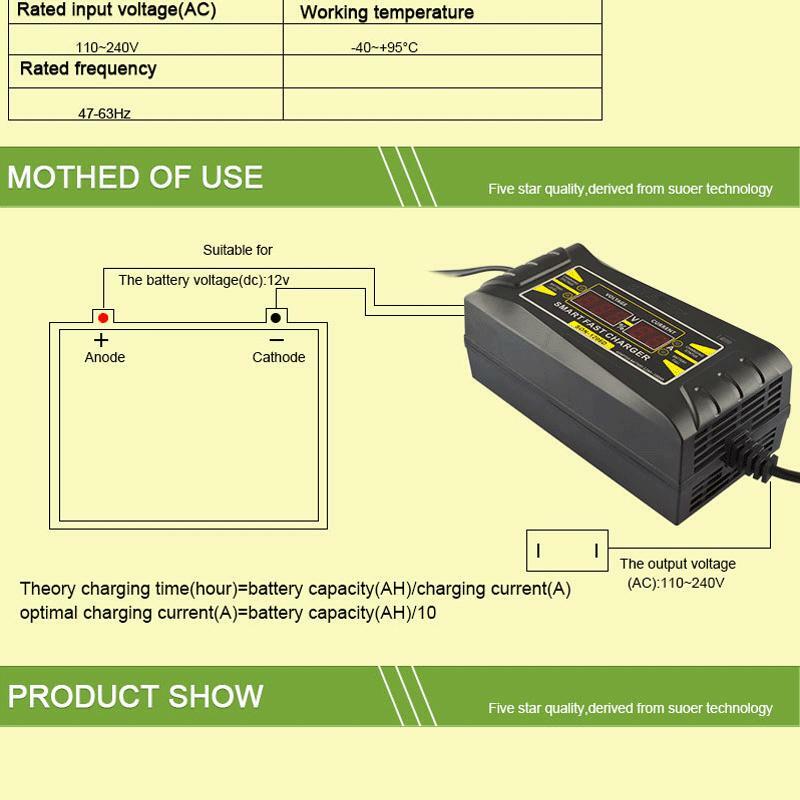 Floating charge mode: When the voltage of the battery is approaching the value of the constant voltage mode, and the current will cut down to the given current gradually, that means the battery power is full,then the pilot lamp will turn green and the fan will stop working. 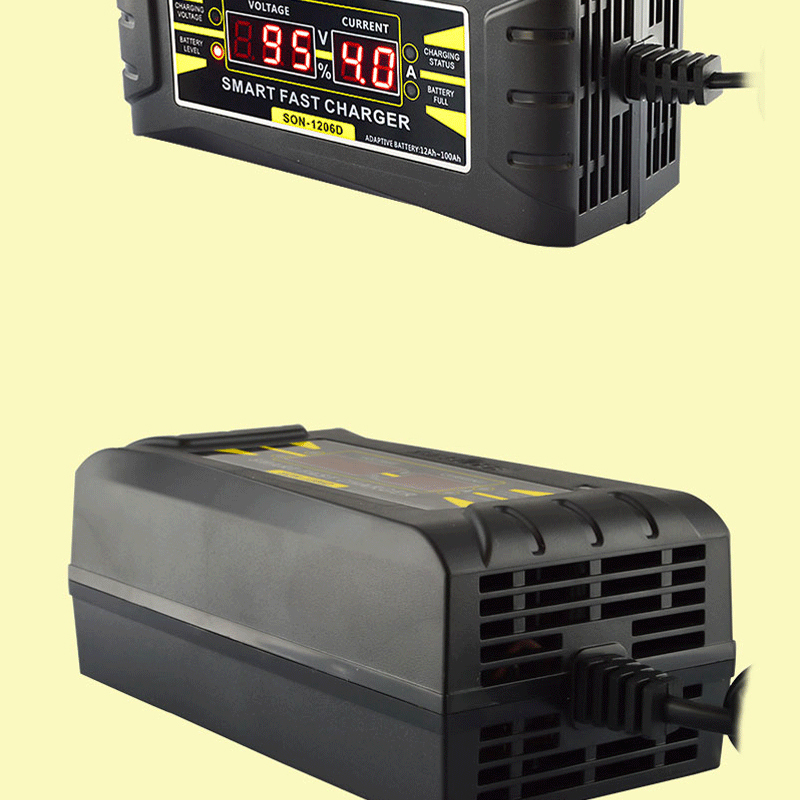 The charger will turn the mode into floating charge mode automatically. At this moment, the battery can be stopped charging or keep on floating charge for half an hour.